On any ivermectin wormer you’ll see a list of parasites. At the end you will see the words Onchocerca Microfilariae, commonly known as neck threadworm. Like something out of a sci-fi movie, they live in your horse’s nuchal ligament. The nuchal ligament runs the entire length of the neck, from poll to withers and connects to the vertebrae. 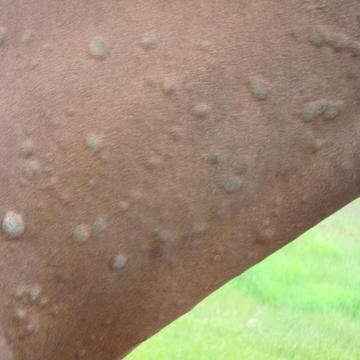 The majority of horses have neck threadworm. For most it doesn't present a problem, but some have a violent reaction to the resultant larvae or microfilariae. This is known as Onchocerciasis. The horse becomes itchy around the mane and tail, chest, shoulders and the midline of the belly. bite. Truly the two are tied together in a three way vector between horse, culicoides and threadworm. HOW IS NECK THREADWORM TREATED? 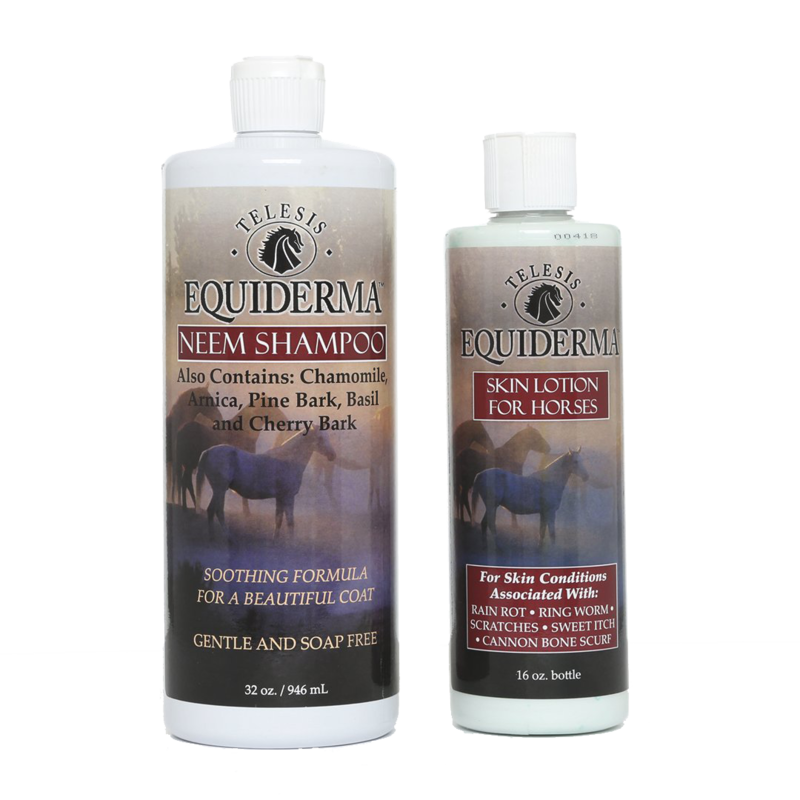 Equiderma Neem Shampoo and Equiderma Skin Lotion have proven highly effective against the symptoms of Neck Threadworm. The skin lotion will halt the cycle by stopping the itching and subsequent damage, and render the area unappetizing to the culicoides, and allow the skin to heal. It is also recommended to combat the issue internally by using the advised dose of ivermectin wormer. Consult your vet for amounts and frequency. Often it is recommended to use injectable ivermectin. Again this is something you should discuss with your vet to establish safe dosage limits. The adult neck threadworm cannot be killed, but their offspring can. With effective management with Equiderma, you can help to ensure your horse's comfort.